H. G. Wells, the “Shakespeare of science fiction”, also wrote prolifically and often presciently on science, education and geopolitics. 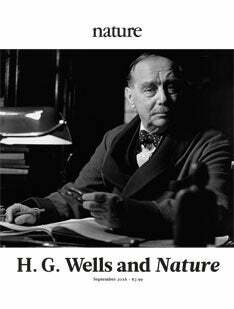 This collection, commemorating the 150th anniversary of Wells’s birth, showcases all his writing in Nature from the late nineteenth century to the 1940s, along with selected reviews of his major works of nonfiction and fiction. A fascinating record of a great science educator during a transformative era for science.